Have you ever dreamed of having a way to make money that has nothing to do with trotting off to a job, putting in long hours, or answering to unsympathetic bosses? Those are thoughts we all share—but most ways to create an independent income take far more time, effort and money than most of us can afford. That’s why this strategy is such a break-through for most people. It’s the only method we’ve ever found that gives an ordinary person the ability to truly escape the soul-constricting loop of trading their time for survival. The beauty of this method is that once you learn it, you can generate income in only a few minutes per week—so it’s doable even if you are already super busy. And that’s especially true with the advent of automatic orders that watch your trades for you. The time you’ll be spending learning this strategy is like priming a pump in the desert—if you spend a little time now you can create a ‘time oasis’ capable of freeing yourself–possibly for the rest of your life. 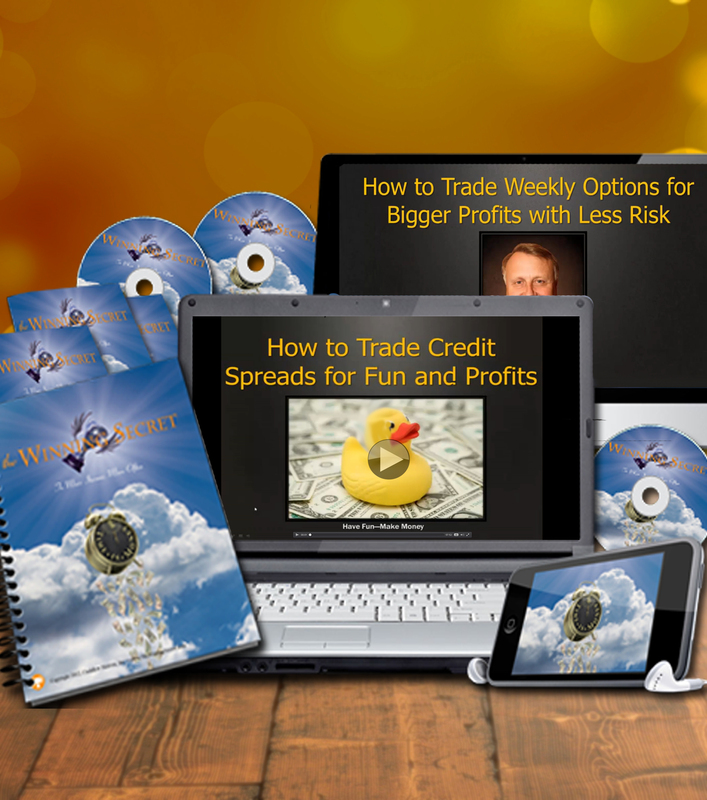 The video above is part of a much larger presentation that is included in The Winning Secret Course shown below.